This Is Why We're Broke. Independent photographic lighting news and education from the high-end professional to the consumer. Between the Profoto B1's, Broncolor Siros L, and things like the Interfit S1 or Godox AD600 (and similar) units, most manufacturers have been focused on creating entirely self-contained monolights for location use. While these are incredibly portable and require no wires, their physical limitations for striking a balance between size and weight for their use cases means that they are "limited" in power — I use "limited" in quotes because 400-600ws is still a lot of power for most applications. The Broncolor Siros L has an 800ws model that has slightly more power than competing units, but at the cost of a slightly bigger and heavier package. Enter pack and head systems — while they're nothing new, in terms of "current-generation" battery powered pack-and-head lights, there aren't that many to choose from, and most are prohibitively expensive. I own a B2 pack and a pair of heads, and while incredibly small and ridiculously portable, sometimes 250ws is just not enough. Pro-level solutions become exponentially more expensive — such at the Profoto B4 series or the Broncolor Move 1200L, and just may not fit into everyone's budget. an interesting note about the batteries is they have a USB-out to charge mobile devices. They've thought of everything! Choose Pro head sets for general photography. They offer a great balance between performance and price. Choose Action head sets to freeze subject’s motion with extremely fast flash durations. Ideal for photography with some movement. Choose Hi-Sync heads to use specifically Hi-Sync with the EL-Skyport Plus HS transmitter. Hi-Sync allows you to trigger your DSLR camera up to 1/8000s shutter speed. Ideal for sports photography. Each head weighs 4.85lbs (2.2kg), with a dimmable LED modeling lamp that's equivalent to a 250w Halogen (4000 Lumens). The internal fans can be "silenced" for use with video, so you won't have that constant "humming" while recording. The lightweight Air battery can run the LED modeling lamps for up to 80 minutes, and the "HD" battery is capable of up to 120 minutes on a charge. Price-wise, I expect it to be positioned among the higher-end self contained lithium-ion strobes; hopefully under $3000. 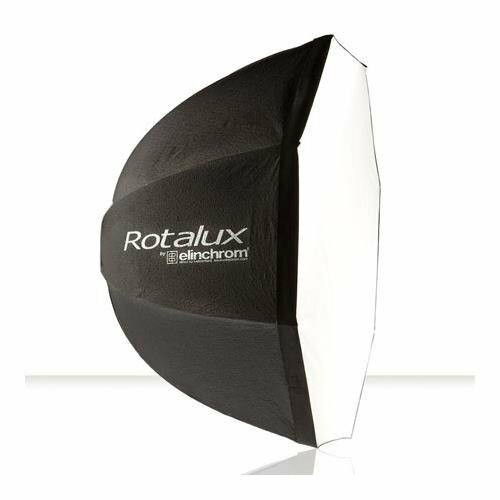 This creates a good value proposition for photographers who require more power in a lightweight and portable package, and who might already own some of Elinchrom's excellent modifiers. It will be available mid-2017, and current owners of a Ranger RX unit will be able to trade in their pack with a special promotion in the form of a rebate, to make the cost of upgrading minimal. For all the specs and more information, Visit Elinchrom's product page. What do you think? It looks like a great option for current Elinchrom users or those who need more power at a lower price point. We already own Broncolor Move packs and absolutely love them, but this looks like a great alternative. Hopefully we'll have a chance to test them out once they're available. And as always, if you're thinking about buying some gear, use our Amazon links; it helps us create content that you like to read or helps you out, and it costs you nothing — win/win!